NuGet Gallery | Packages matching Tags:"ethereum"
112 packages returned for Tags:"ethereum"
Nethereum.RPC Ethereum Core RPC Class Library to interact via RCP with an Ethereum client, for example geth. Netherum.Geth is the extended Web3 library for Geth. including the non-generic RPC API client methods to interact with the Go Ethereum Client (Geth) Admin, Debug, Miner. A .NET implementation for the Coinbase API for online payments. 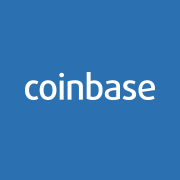 The Coinbase API is a way to seamlessly pay for goods or services online utilizing Coinbase and Bitcoins for low-cost payment processing.